Wall Street Protesters In It For The Long Haul Several unions are expected to march from City Hall to the protest site in lower Manhattan next week. Occupy Wall Street organizers have plans to build up their makeshift camp in the park, but the real question is how long the city will let the protesters stay. A protester marches on Friday in New York City as part of larger demonstration focused on corporations, wealth and income distribution. 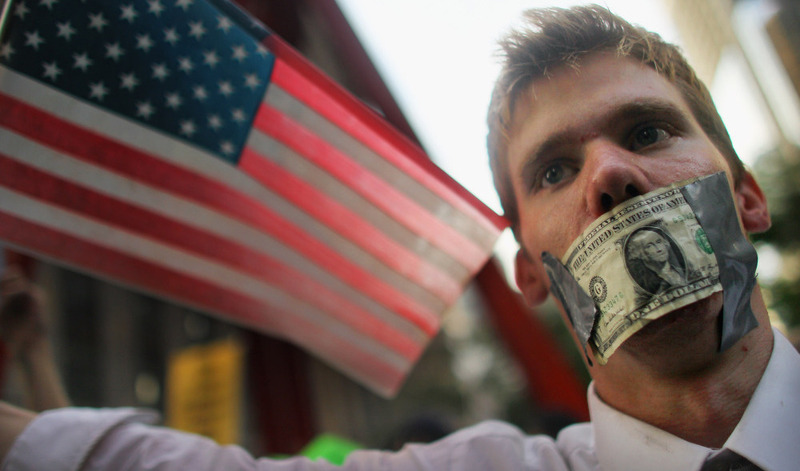 A protest in New York dubbed "Occupy Wall Street" appears to be settling in for the long term. Twice a day, protesters leave the tents, makeshift kitchen and free bookstore set up in Zuccotti Park in lower Manhattan and begin a slow march down the sidewalk. Anywhere from hundreds to thousands of supporters are showing up for marches each day. A protest on the Brooklyn Bridge Saturday resulted in about 700 arrests. Another major demonstration is set for mid-week as union members join protesters. Pick just about any cause, including the execution of Troy Davis in Georgia in September, and it's likely represented here. The primary focus is on corporations, the wealthy and income distribution. The objective, as protester Mike Luciano from Pennsylvania puts it, is "taking the big cats down, bringing down Wall Street, changing how the government works and the dirty deals are done." 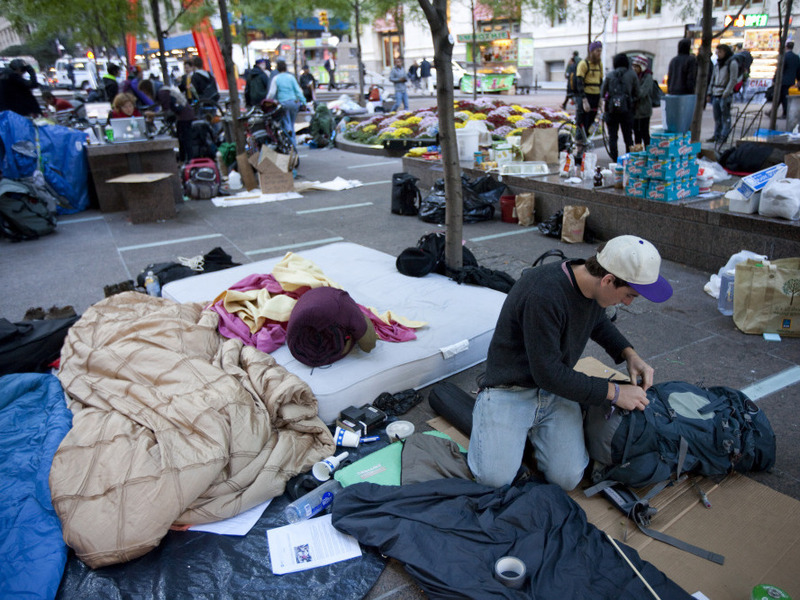 Occupy Wall Street protesters have been camped in Zuccotti Park for about two weeks, and an organizer says they are planning to improve infrastructure so they can stay there for months. Luciano says he belongs to a union. Given recent reports that local organized labor is starting to get behind the protest, he expected to see more fellow union members. Next Wednesday afternoon, several unions are planning a march from City Hall to the protest site. That day there likely will be only one march. "We have been in the past doing two — one at 9 and one at 4 ... for the opening and closing bells," says Victoria Sobel, a college student at Cooper Union and a protest organizer. "I believe we are moving toward one march a day to have a bigger march." That does not mean this protest is winding down. Sobel says organizers hope to improve infrastructure for the estimated 200 to 300 people who are living at the protest site so they can stay here for months. There's a makeshift kitchen already set up, but few options for bathrooms. Despite organizers' intentions, the big question is how long the city will let the protesters occupy the park. Mayor Michael Bloomberg has not yet answered that question definitively.